For many people, skiing is a favorite winter activity. Whether you’re starting off on the bunny slopes or mastering a black diamond, skiing is an excellent source of exercise and a great way to have fun outdoors during the winter months. 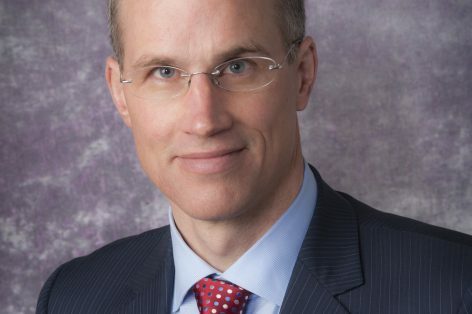 We sat down with Volker Musahl, MD, medical director at the UPMC Rooney Sports Complex, to answer your skiing questions. To learn more about UPMC Sports Medicine experts and services, or to schedule an appointment, call 1-855-93-SPORT (77678) or visit UPMCSportsMedicine.com. Q: Do injuries occur more in downhill skiing versus cross-country? Is one safer than the other? A: Downhill skiing has a higher injury rate, especially high energy mechanisms, such as crashes and twisting injuries. Cross-country, on the other hand, has more overuse types of injuries, such as shoulder and knee tendinitis. Q: How important is it to be fitted for the right skis and bindings? Aren’t they all basically the same? A: You should absolutely make sure to get fitted properly, especially the bindings. If they are too tight, they won’t release, leading to knee twisting injuries. In addition, the type of ski is important, as more advanced skiers will be able to ride skis with more extreme movements. Q: Are there stretches that you recommend for skiers? A: Warm-up stretches are important for general flexibility in the knees, hips, and shoulders. To cool down, I would recommend stretching your quads and calves. Q: We plan to enroll our 3-year-old daughter in ski lessons during an upcoming trip. Any tips for making sure she stays safe? A: Before your trip, it’s a good idea to let her wear the goggles, ski boots, and helmet around the house to get used to them. Her helmet and mittens should fit well, and be sure to bring an extra pair of mittens. I also recommend a bib so she doesn’t get cold. Please note that most ski schools only take children who are at least 4 years of age, although your specific situation may be different. Best of luck! Q: I’ve heard that knee injuries are common in skiers. What other injuries also are common? A: Knee ligament injuries are common. But since the introduction of carving skis (designed for groomed trails, hard packed snow, or ice, they are wider at the tip and tail), shoulder and wrist injuries have become more common. Q: Are there specific exercises or stretches I can do to help prevent injury on the slopes? A: I would recommend warming up before you hit the slopes with at least five to 10 minutes of general flexibility exercises for your hips, knees, and shoulders. Lunges and squats are great for building lower body strength and can be incorporated as part of your regular exercise program. Q: In terms of equipment, what are “must haves” for both safety and injury prevention? A: With respect to equipment, I would recommend weather-appropriate gear. A helmet and goggles are absolute musts. If you are a ski racer, you might want to use protective gear for your wrists, shoulders, and knees. Q: I recently recovered from a leg injury and am cautious about returning to the slopes. Anything I should watch out for? A: First, ask your doctor if you’re able to ski again. And make sure both legs are equally strong and flexible to avoid reinjuring your leg. Q: I have never skied before and want to get into the sport. Any suggestions on getting started? A: Rather than buying new ski equipment, which can be expensive, I suggest renting equipment and signing up for ski lessons with a certified ski instructor. To prepare your body, I recommend working on core strength, quadriceps, and hip and balance training. Depending on how quickly you want to advance, or if you want to become competitive, it’s worthwhile to consider working with a personal trainer or sports performance coach to learn proper conditioning. Read more on how to prevent injuries on the slopes.